Two of the most senior members of the European Parliament slammed Italy on Friday in an exclusive interview with Euronews. European Parliament President Antonio Tajani described Italy as 'isolated' due to an ongoing spat with France. The last straw was a tweet from Italian deputy Prime Minister Luigi di Maio this week, showing him meeting with a group of French "gilets jaunes" ("yellow vest") protest leaders. "The wind of change has crossed the Alps," di Maio wrote. 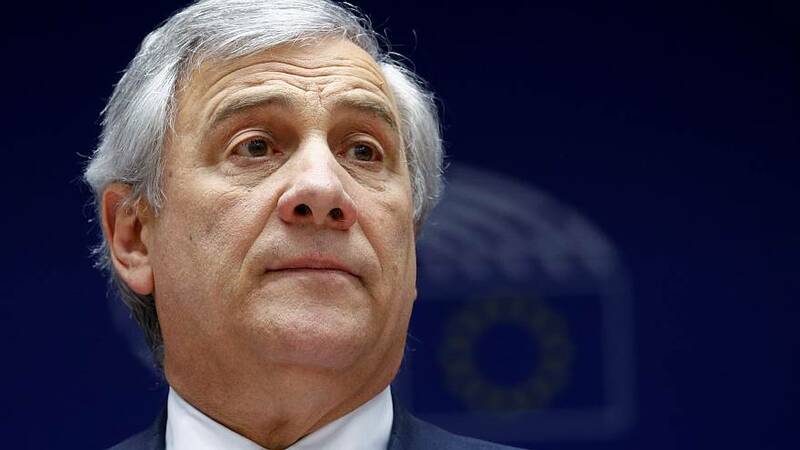 "This is a big mistake of the vice prime minister Mr Di Maio to go to the Gilets Jaunes in France," Tajani remarked to Euronews' Foteini Doulgkeri in Athens. The French foreign ministry said it was an "unacceptable provocation," and recalled Christian Masset back to Paris "for consultations". "There are problems," conceded the EP president, "but this is not a good choice to attack in favour of gilets jaunes. We are in favour of [the] police. We are in favour of workers. We are against violence. This is a big Italian mistake." In a statement, the French foreign ministry also accused di Maio of electioneering at the expense of France. "Disagreeing is one thing, exploiting relations for electoral ends is another," the ministry wrote. European People's Party leader Manfred Weber also weighed in on the bilateral tension, telling the Italian government: "Stop complaining to Paris, to Brussels, or to Berlin about your economic problems. Take over your responsibility." "We have in Europe generally an atmosphere where we attack each other," Weber added. "Where the member states attack each other. And we have to come back to a spirit of cooperation, of compromise, of sitting together and solving problems together."